Winning Wednesday presented by Farm Bureau Insurance: Every time the Griffins win at home on Wednesday, each fan in attendance will receive a free ticket to the next Wednesday game. All fans who were in attendance for the Griffins’ overtime win against the Manitoba Moose on Jan. 23 can redeem their ticket stub for a free ticket to this game. To redeem a Winning Wednesday ticket, please visit the box office following the Winning Wednesday game, The Zone during normal business hours, or the Van Andel Arena box office prior to the next Wednesday game beginning at 5:30 p.m. Fans who exchange their Winning Wednesday ticket at The Zone on a non-game day will receive 20% off the purchase of one item (excluding jerseys). One discount per person present. Post-Game Parties at Peppino’s: After every Wednesday game, join Griffins players and staff for the official post-game party at Peppino’s Sports Grille downtown. Library Nights: For all Wednesday and Sunday games, fans can present their Grand Rapids Public Library card or Kent District Library card at the Van Andel Arena box office on the night of the game or at The Zone anytime during the store’s regular business hours to purchase either an Upper Level Faceoff ticket for $14, an Upper Level Center Ice ticket for $17, or a Lower Level Faceoff ticket for $20. Limit four tickets per card per person, subject to availability. 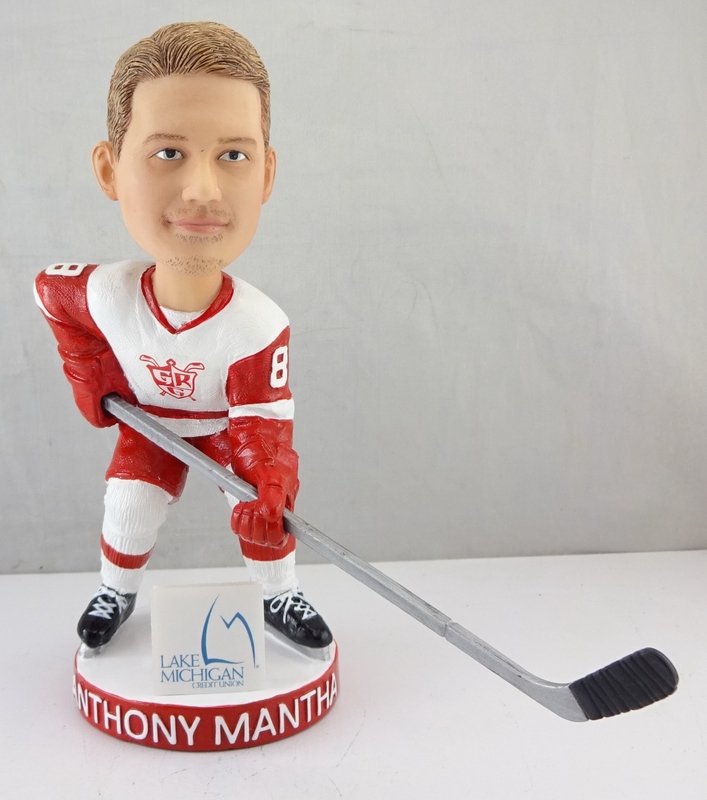 Anthony Mantha Bobblehead presented by Lake Michigan Credit Union: The first 2,500 fans in attendance will receive an Anthony Mantha bobblehead. Click here to see it. Superhero Night presented by Lake Michigan Credit Union: Spider-Man, Supergirl, Thor, Captain America, Batgirl, Black Panther, Scarlet Witch and Jesse Quick will be on hand to take photos on the concourse, interact with fans and take part in game-night promotions. A variety of in-game entertainment elements will also highlight superheroes. 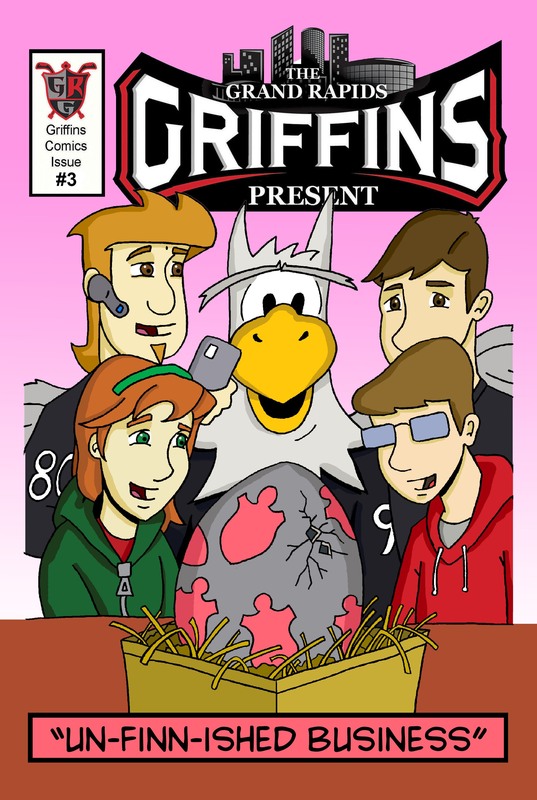 Third Annual Comic Book Giveaway: Fans of all ages will receive a third-edition Griffins comic book, “Un-Finn-Ished Business,” created by local artist Rob O’Neil upon exiting the arena after the game. Click here to see the cover. 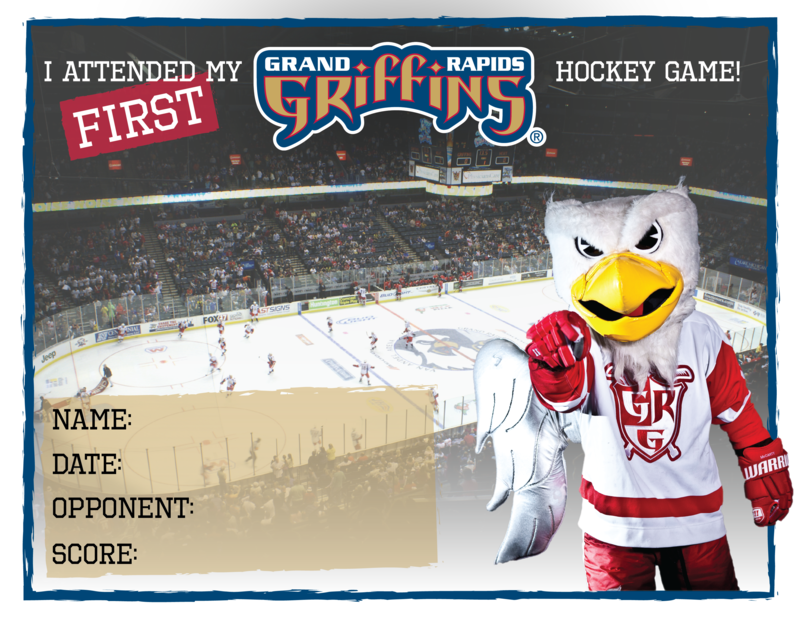 Pepsi Reading Goals Redemption Date: Children with Griff’s Reading Goals bookmarks who have completed the required three hours of reading can redeem their bookmark for two free upper level tickets to any of the following games: Feb. 10; March 6 and 31; April 10. • For group information please visit griffinshockey.com/group. Advance ticket prices are $16, $19, $20, $21 and $23 in the arena’s upper level, and $22, $26, $31 and $37 in the lower level. (Additional $3 per ticket on day of game.) On game night, tickets may be purchased without a convenience charge at the Van Andel Arena box office, beginning 90 minutes before game time. Fans who attend multiple games can avoid charges and receive a discount from the single-game price by purchasing a 10- or 20-game ticket plan.